The abortion debate in Ireland gathered pace here last week as the outlines of what the government has in mind began to emerge. The proposals are so ridiculous they are laughable. We've always been known as the island of saints and scholars. To that should now be added the word hypocrites. There are two main areas of concern about what is emerging. The first is that there appears to be no proposal to alter the present framework in which abortion is only permissible here when there is a "substantial risk to the life, as opposed to the health, of the mother." In other words, because our Constitution gives a fetus a right to life equal to that of the mother, a pregnant woman has to be in real danger of dying before an abortion can happen here. Of course this is merely theoretical for the vast majority of the thousands of Irish women every year who choose to have an abortion. They turn their backs on the hypocritical mess we have created in the island of saints and scholars and go to Britain for an abortion. But it is a serious problem in the small number of cases where a pregnancy becomes a health crisis and a woman finds herself in an Irish hospital with no choice because of the legal situation here. These cases, in extremis, can lead to tragedy as we have seen with Savita Halappanavar, the Indian woman who died in a Galway hospital last October after being refused a termination. As far as we know, there is no proposal from the government for legislation to clarify and extend the definition of what is a "substantial risk" that would allow an abortion. How sick does a woman have to be? If a woman herself feels seriously ill or feels her condition is worsening, should she have the right, with her doctors, to make a decision about a termination? At present, she has no voice in the decision, no right. It is solely a decision for doctors. And the government proposals, as far as we know, do nothing to change this. Instead, they continue to rely on the Medical Council here to issue advice to doctors defining the circumstances in which they can act. The problem is that without clarity in the legal framework, there is no way that either the Medical Council or individual doctors can know. This is the situation, combined with a lot of incompetence, that killed Savita. Nothing in the government's proposals will change that. A woman will only be able to get an abortion here on medical grounds if her life is at "substantial risk." Taoiseach (Enda Kenny) has ruled out another abortion referendum. That also means, of course, that a woman's right to choose does not exist here no matter what her condition or circumstances. The personal circumstances of a pregnant woman who wants an abortion cannot be taken into account here, as they are in other countries. In other jurisdictions, this consideration can culminate in a decision based on whether the continuation of an unwanted pregnancy may harm a woman's well being or make her suicidal. If a woman feels unable to continue with a pregnancy for personal reasons, and there is a possibility that she may self-harm if she is forced to continue, she is given a termination. The rigor with which such an assessment is made varies between countries. In some countries, a woman merely has to state that she does not want to continue with a pregnancy and she is given an abortion as a matter of right. It is this aspect of the debate that is most contentious here. The government is determined that there will be no "abortion on demand" here and that a threat of suicide will not be used to open the door to that possibility. The government has to act because it has been told by the European Court to clarify the circumstances in which women can have abortions in Ireland. Our Supreme Court's interpretation of the constitutional amendment 30 years ago said that if there is a "substantial risk" to the life of a woman she is entitled to an abortion here. The Supreme Court also made it clear that it was the Irish Parliament's job, by way of legislation, to define the circumstances in which this would apply. abortion there was no pressure to do anything, and no need to sully our reputation as the island of saints and scholars with anything as mucky as abortion legislation. So nothing happened. Successive governments dodged the issue. And the current government is only tacking it because the European Court has told Ireland to do so, not because of the more recent Savita case. Because there is no proposal to change the "substantial risk to the life of the mother" condition for an abortion, there will be no increase in the miniscule number of abortions here on physical medical grounds. But the same test could allow abortion if it is established that a pregnant woman could be suicidal if she is denied a request for a termination. Clearly a possibility of suicide constitutes a "substantial risk to the life of the mother." What this means is that the extreme pro-life lobby that forced the amendment into the Constitution in the 1980s that gave equal right to life for both mother and fetus may now get exactly the opposite of what they were aiming for. It was the Supreme Court's interpretation of the amendment that produced the "substantial risk to the life of the mother" condition for legal abortion. So the big question here now, the one that is leading to feverish lobbying by the pro-life groups, is how you define when a woman is suicidal. 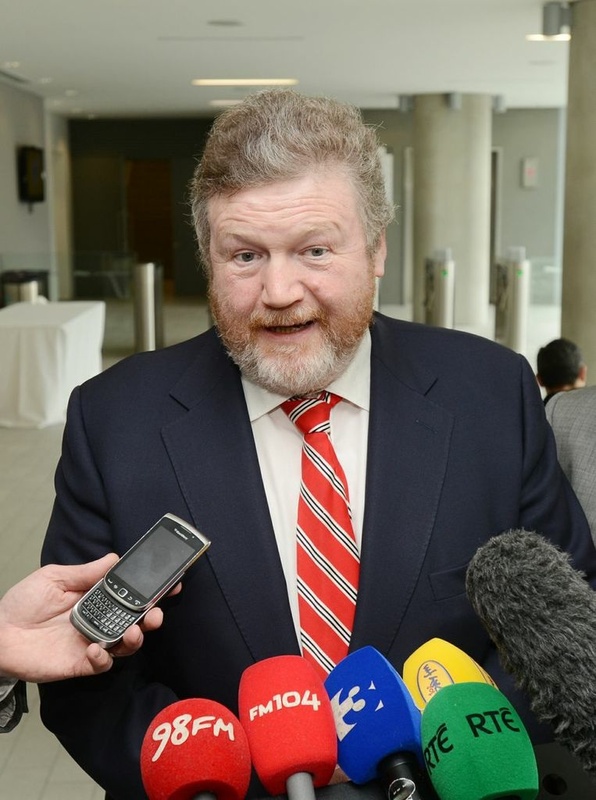 What emerged over the past two weeks was that the Minister for Health James Reilly was proposing that a woman making a request would be examined by three medical consultants (senior doctors), one of who would be a psychiatrist who specializes in dealing with pregnant women. The three would make a decision, and that decision would then be reviewed subsequently by a second panel of three doctors. There would be an appeal system built into the process which could mean that a second group of six doctors would be involved. This means that a woman requesting an abortion might have to satisfy up to 12 doctors/psychiatrists before she would be given permission. The organization of psychiatrists in Ireland immediately pointed out that there were only three psychiatrists in the whole country who specialize in caring for pregnant women. They also said that their members did not want to be the country's "social police." The president of the organization even went so far as to say that forcing vulnerable women to undergo mandatory psychiatric assessments by up to 12 people was "abusive." The government is now trying to row back and says that "only" six doctors would be involved. But the whole thing is a farce. It is also completely unrealistic. The vast majority of women who want to have abortions, whether suicidal or not, will prefer to go to Britain rather than be grilled by doctors here. So the number of women seeking terminations on the grounds of potential suicide will be extremely low. Many Irish women who want to have an abortion because of a developing physical medical condition -- like cancer -- now go to Britain and have the termination there before coming home again for treatment for their condition. This is one reason why the number of terminations for physical medical reasons here is low. Since there is no change being proposed to the "substantial risk" test, that situation is unlikely to change in the future. So the island of saints and scholars will be able to go on claiming that there is little or no abortion in Ireland, even when we introduce new legislation to "allow" abortion here. If the ludicrous proposals now being suggested become law, we will still have almost no abortion either for physical or mental reasons. The government is promising legislation before the summer, although given the reaction to its proposals that may be wishful thinking. This shambles is the result of the government's desperate attempts to do the absolute minimum on abortion, despite their promises to sort out the situation. Saving their own political skins is all they are concerned about, not the plight of Irish women who are caught in our hypocritical mess.